1. In a small bowl, whisk the lemon juice with the mustard, then slowly whisk in the olive oil. Stir in the chives and season the lemon-mustard vinaigrette with salt and pepper. 2. 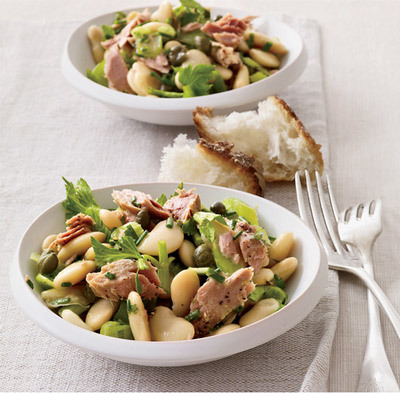 In a large bowl, gently toss the drained tuna with the sliced celery, butter beans and capers. Add the lemon-mustard and toss to coat the salad. Season the salad with salt and pepper and serve at once.